These Tactical Solutions custom Browning Buck Mark grips are precision machined from solid aircraft aluminum billet stock. 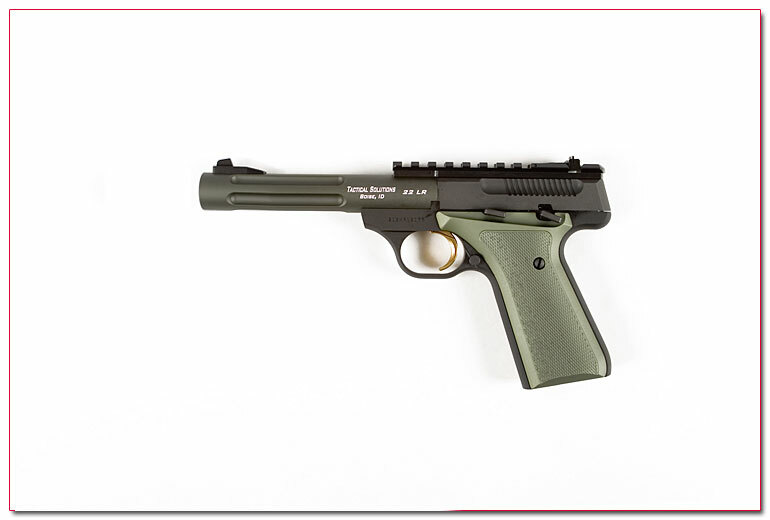 These grips are a must have for the shooter building a truly �custom and unique� pistol. The grips are anodized in the color shown (Because of the material used these grips will vary slightly in shade from our barrels). The grips feature crisp checkering and a comfortable design. These grips will not fit the Browning URX, UDX, Lite, and Challenge models.